I’ve been anxiously awaiting sharing this post since I first mentioned on Instagram we were finally getting some leather chairs! It’s been a long time coming and it feels like our living room has upgraded and become a true adult space now! If you aren’t familiar with the whole story, let me back up for a second. About 3 years ago we completely refreshed our living room. 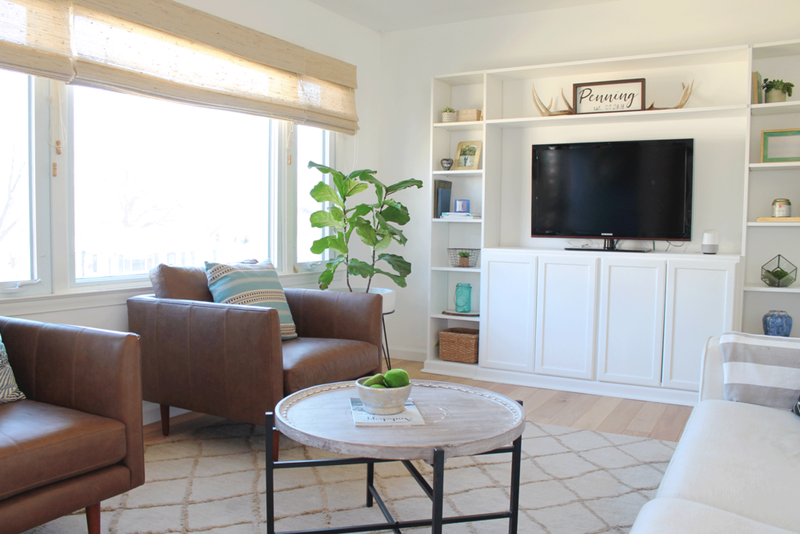 We added built-ins, got a new couch, rug, light fixture, flooring. The space got a complete overhaul because before it just did not reflect my style (which I had decorated prior to finding my decorating style) and it didn’t make me happy. Well, with that refresh, I knew we eventually wanted to get leather chairs for some additional seating, but we just never got around to finding chairs I liked. They’re a big investment and I went back and forth on what I wanted, so I didn’t want to rush into a decision without being sure. So in the meantime, I actually stumbled across a super cute chair while in Goodwill for $30 that worked for our living room so we at least had one extra seat besides the couch until we found some new chairs. Here we are 3 years later, and we finally got leather chairs! 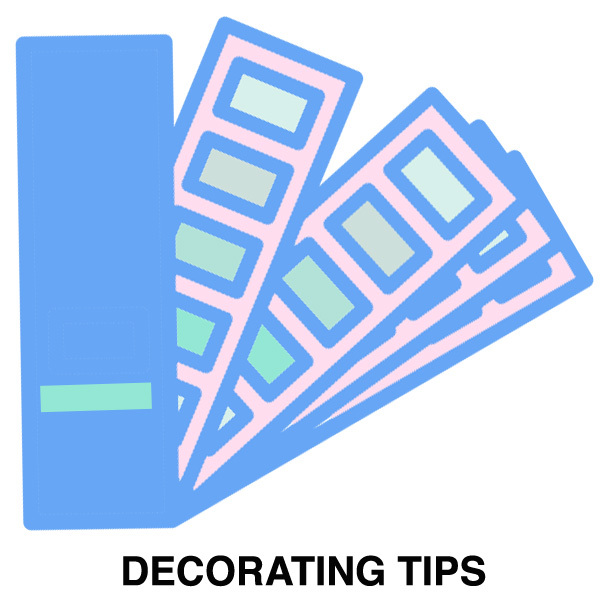 Another reminder that decorating is a process and takes TIME. One of my favorite furniture companies, Article, wanted to partner on leather chairs. It couldn't have come at a more perfect time! 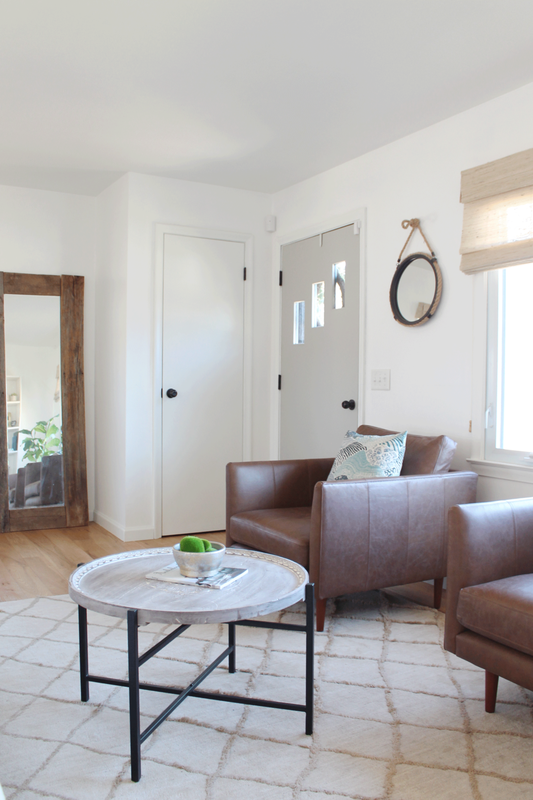 I’m a huge fan of Article (we have their sofa, floor lamp, and a cozy throw and sheepskin) and everything is such high quality and beautiful, so I knew the leather chairs would be no different. I’m doing a full review on the leather chairs and how I chose which chairs to get. To be completely candid, the chairs were gifted to me by Article, but I’m sharing my full, honest opinion on them and what I truly think. This took some time and I even questioned my choices a couple times, to the point where the chair I was set on for a few a month or two, I ultimately ended up changing my mind. Here’s what my process kind of looks like when I’m deciding on a piece of furniture for our home. Whenever I’m looking to get something new for our home, I always go back to my Dream Home Pinterest board to remind myself of the elements and styles of furniture I like. It’s my inspiration and how I pull ideas that align with my style and how I want my home to look and feel. Once I have some inspiration and an idea of what I’m looking for, I stalk the Internet, and in this case, Article. I can’t tell you how many times I looked at their leather chairs, analyzed them, read reviews, tried to find pictures of the chairs IRL on Instagram…for weeks. Let’s just say I am thorough in my research ha. As I was looking at every leather chair option, I was looking obviously at the color and style, but also at the size of the chairs. Our living room is quite small and narrow, so we do not have a ton of room so I didn’t want a chair that would feel proportionately off scale with the rest of the furniture in our room. I thought I had it narrowed down to this gorgeous leather chair. It fit with the style I see in many of my pins on my Dream Home board its small scale would fit nicely in our living room. It seemed perfect. But the more I envisioned us using the chairs, the more I felt like we needed something “cozier” and larger to snuggle up in. This chair with the wood arm rests just didn’t feel like it would be a chair you want to lounge in and read a book, you know? The other thing is I want to be able to use the leather chairs in our future home. We’ve been in this house for 5 years now, so we are looking at other houses in the next year with a little more space, so I want chairs to be useful in our next house. While that gets tricky since you never know the space you’ll have in a future home, I do know that in our next living room I would love to have a larger sofa with a chaise and leather chairs. And when I envisioned the leather chairs, I pictured something cozy that people want to sit in, and I just wasn’t getting that vibe with the Denman chair. So, back to the drawing board I went. I looked at allllll the leather chairs again, and again and again. Ultimately, I decided on the Burrard leather chair in Bella Tan. It checked all the boxes. I loved the roomy, boxy style that felt nice for curling up, I loved that the leather was slightly darker than most of Article’s other leather chairs (I didn’t want anything too “orange-y” looking), and the size was large enough to be comfortable while the modern low-profile style felt propionate to our couch. When the chairs arrived, I was pleasantly surprised at how nice the leather looked. 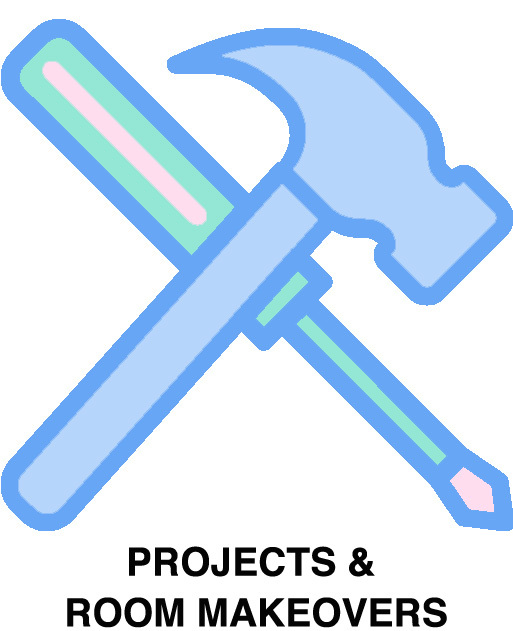 It’s high quality with a slight variation to it, but the color is very true to color on site. I was slightly nervous about how large the chair would feel and that it would take up so much space in our living room with two chairs, but they actually fit great and we have more room than I was visualizing! I don’t feel like they’re oversized or anything for our room, they fit perfect. It’s no surprise the chairs are super well-made with high quality Italian-tanned leather and down feather back cushions. It feels solid, sturdy and durable. The leather doesn’t feel delicate at all and should hold up nicely. The seat cushions aren’t super soft, but it’s still completely comfortable, just don’t expect something super plush. My one complaint is that the leather doesn’t go around all the way on the backside of the cushions. You can see on both cushions the backs are mostly covered in a black fabric, so if something were to happen to the front side of the leather, you can’t flip the cushions. While I’ve been told by Article that this is an intentional design decision both to keep the cushion in place (a leather on leather situation would probably mean more slipping of the cushion) as well as to allow proper aeration so that the pillow can be smushed during seating and then fluff back up easily. I wanted to use the chairs for a bit before I wrote a review so I could get a good feel for them. We’ve had them about 4 weeks now and have definitely put them to use, though I can’t speak to the durability directly just yet. 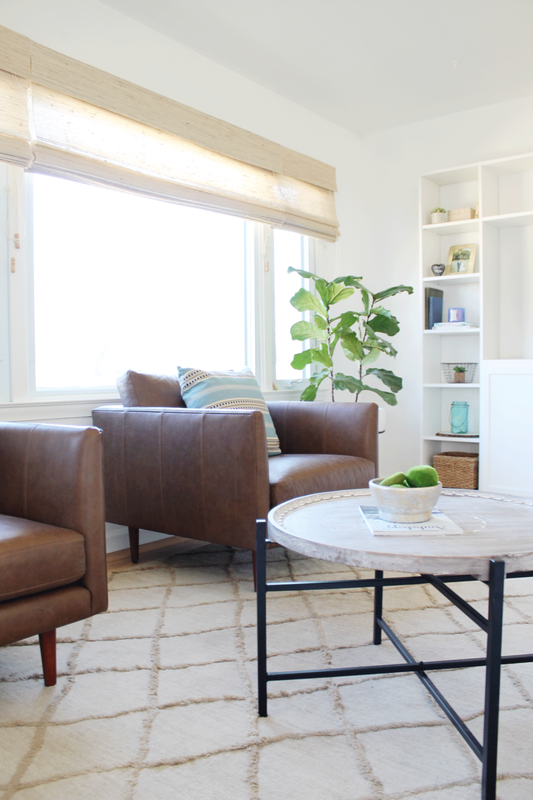 So far, we love the chairs and they’ve been a great addition to our living room. It’s so nice to have some extra seats so both Jordon and I aren’t always sharing the couch. I find myself choosing the chair over the couch sometimes just because I love curling up in it and working on my computer or watching some March Madness basketball. I often find Jordon sitting in one of the chairs when he gets home in the morning from his 24 hour shift while he watches the morning news. Which is saying something if he likes them! His favorite part he says is that they are really wide, making them comfy. As far as cleaning the chairs, I haven’t done anything yet, but the tag on the chair said wipe clean with a damp cloth. We’re careful to cut Bria’s nails a little shorter so she doesn’t scrape the leather, but so far so good! 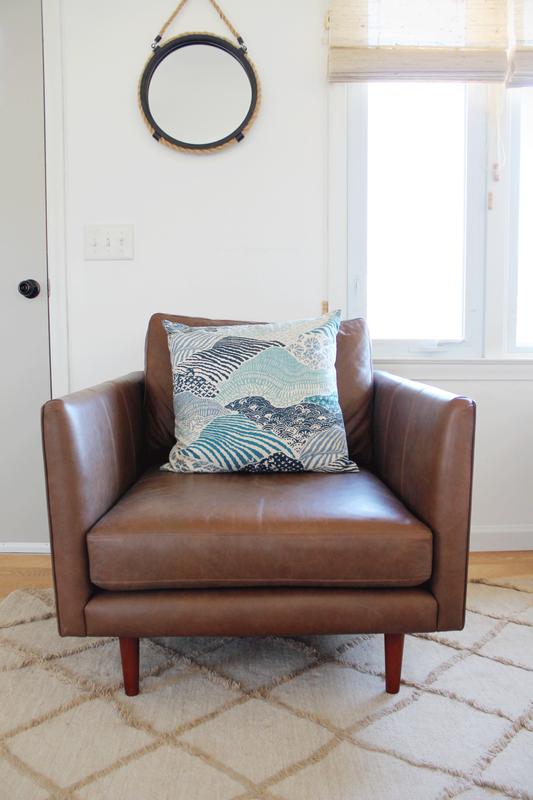 I love modern furniture and my style reflects that, but I was a little nervous how the super mid-century modern style chairs would look in our living room but I LOVE them. I’m still figuring out our coffee table situation, though. In the pictures you see the round wood coffee table that I originally ordered to replace the larger rectangle table we had before the chairs. We needed something smaller and round, and this one was my favorite I found. However, after having it in our home with the chairs and based on how we use the space, I think an ottoman or 2 poufs might work better. The table just seems a little in the way since we do lay on the ground and play with Bria (she loves when we chase her lol), so we’re always pushing it off to the side. 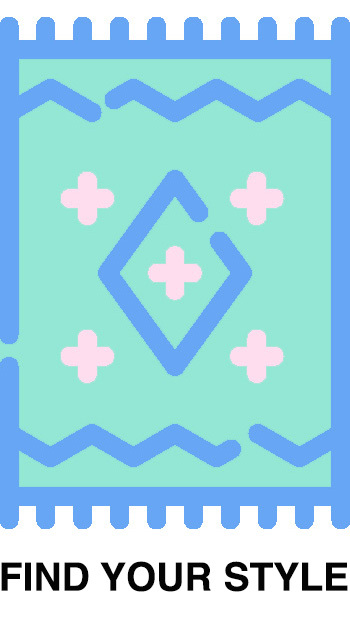 I haven’t gotten anything different yet, so stay tuned on Insta for updates! Overall, we are so happy with the chairs and feel the Burrard leather chairs were the perfect decision! I can’t recommend Article enough for their quality yet beautiful furniture and home decor, plus their customer service is amazing, they offer a 30 day return policy, and they offer free complimentary swatches to test their fabrics, which is important to note since you can’t see them in-person beforehand. Yesterday I revealed our full bathroom makeover, if you missed it you can check it out here. We can all agree the bathroom is a well-used room in the house that deserves some lovin too. 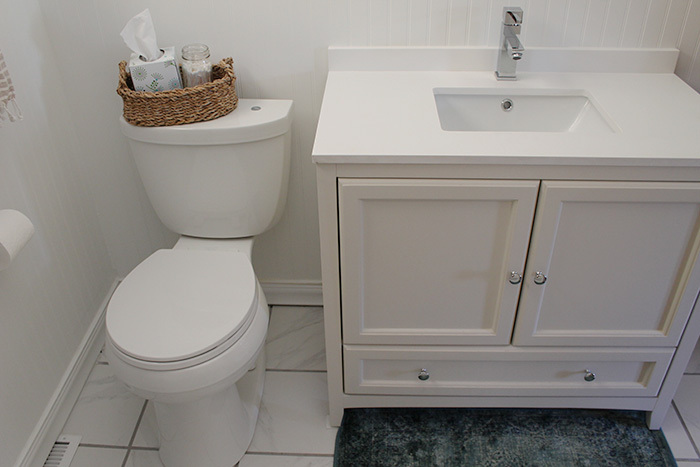 One of the key pieces of the bathroom design and functionality is the vanity. 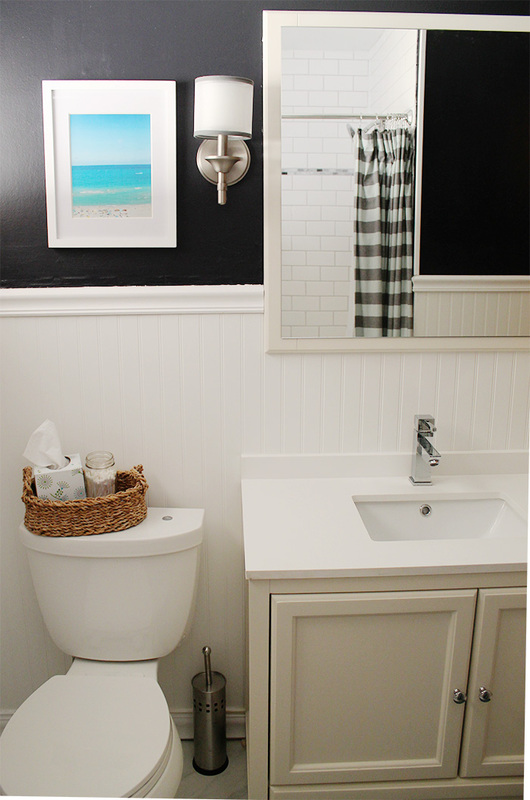 I was lucky enough to partner with Decor Planet for our bathroom renovation. Months back when I was deciding on vanities, I scoured their entire website before I landed on the Fresca Traditional Vanity in Antique White. They have SO MANY options that fit every size and style, but I finally decided on something traditional that reflected the style of our home in a pretty cream that would contrast nicely with the rest of the white bathroom. 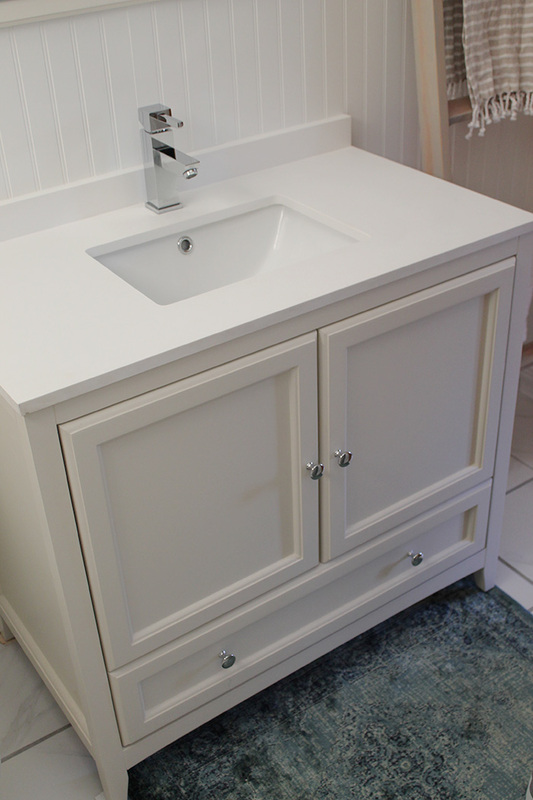 After you select the vanity and size, you choose the color, countertop, sink, and faucet from select options. Decor Planet makes it so easy so you don't have to mess around with finding sinks or faucets that fit your vanity. I chose the white quartz countertop, white under mount sink, and the Bevera faucet in chrome. I'm so impressed with the quality of everything I can't praise it enough. The vanity is hardwood (no particle board) and has my favorite feature of all, slow-closing hinges! 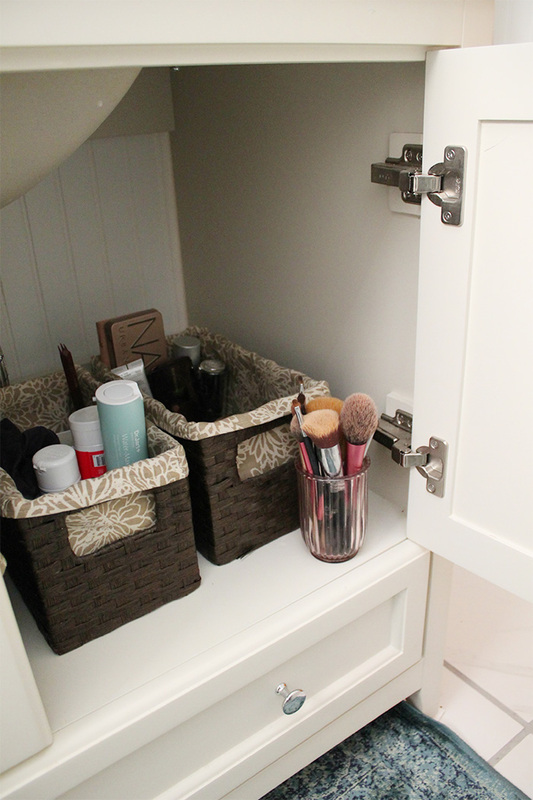 It has plenty of room for storage underneath so I can keep our toiletries and my makeup in baskets that neatly keep things organized, which is key for me as I'm storage obsessed. With the vanity even comes a matching mirror, too, with easy to install backing. Our lighting situation before was bad, and even though we have a window, it is currently covered on the outside by a car port the previous owner built (we are tearing it down this summer I hope) so we needed all the extra help we could get. Sconces are my favorite way to frame the mirror so I chose two Kichler Lacey Wall Sconces. They look so nice, give off plenty of light, and fit the rest of the design perfectly. 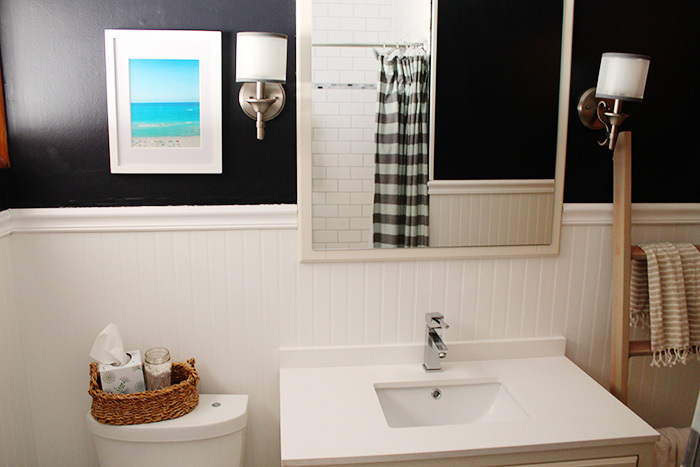 See the full bathroom before and after reveal here. Thank you to Decor Planet for making this post possible. All opinions are 100% my own.